On the road, just a few seconds can make the difference between life and death. See how Mobileye’s collision avoidance system can give drivers those seconds. According to a joint report published by the National Highway Traffic Safety Administration (NHTSA) in conjunction with the Virginia Tech Transportation Institute (VTTI), 80 percent of collisions and 65 percent of near collisions involve some form of driver distraction occurring in the last three seconds before the accident ( see downloadable PDF, page 162). That’s right, just three seconds of inattention can mean the difference between life and death. But realistically, can we expect drivers to completely focus on the road at all times, especially in a world so dependent on mobile devices? What if we could grab drivers’ attention at the most critical times, buying them those precious seconds before a collision occurs? 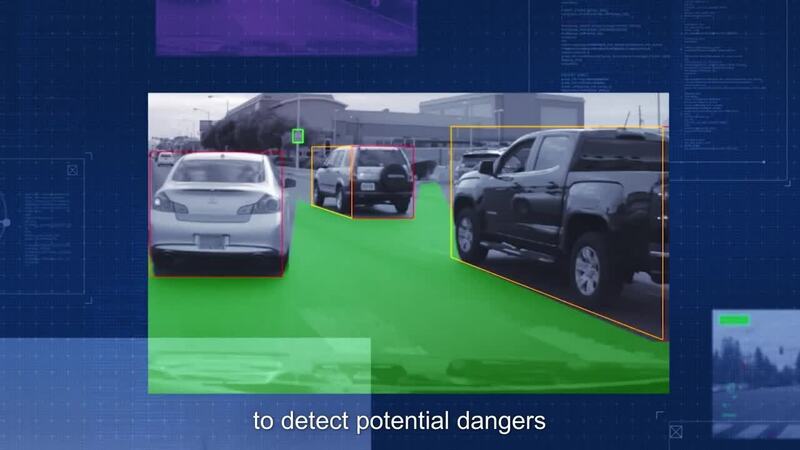 Mobileye’s collision avoidance system does just that – Headway monitoring and warning helps draw drivers’ attention when they are too close to the vehicle in front of them, while forward collision warning and pedestrian and cyclist collision warning alert drivers to potential dangers ahead. Lane departure warning can alert drivers who have may have unknowingly drifted into another lane, helping prevent some of the most dangerous types of collisions. Check out the video below to see how these warnings work and then contact a Mobileye representative to see how our collision avoidance systems can work for you.